A Beachside Soirée on a starlit night in beautiful St. Barth. Who could ask for anything more? I went back to St. Barth with a laundry list of things to accomplish. November is the month that our USA staff does their second trip to do villa and hotel inspections and we launch the new season by unveiling our new Live Your Dream catalogue at our annual Beachside Soirée, al fresco, at the Taïwana hotel. 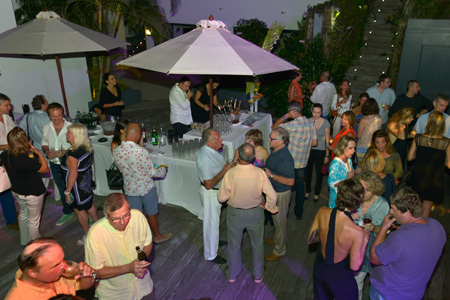 The event took place on November 12th and it was the best ever, according to our guests and our St. Barth Properties’ team. 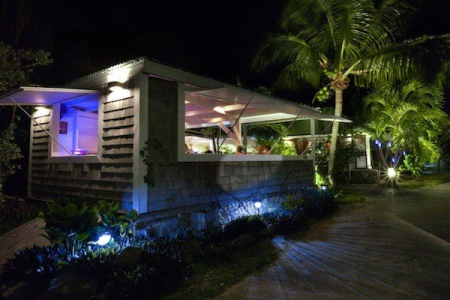 It was a beautiful starlit Caribbean evening, the bar was hopping and there was a stream of yummy hors d’oeuvres being passed by the very attentive staff. Our fabulous DJ, Yo-One Sutter livened up the scene and singer/guitarist Soley was serenading us in style. (I especially love it when he sidles up to me and sings as if I were the only one in the place – (Swoon). Have a look at the scene. Volume 20 of our catalogue was a huge hit and compliments about the cover and the content are pouring in. 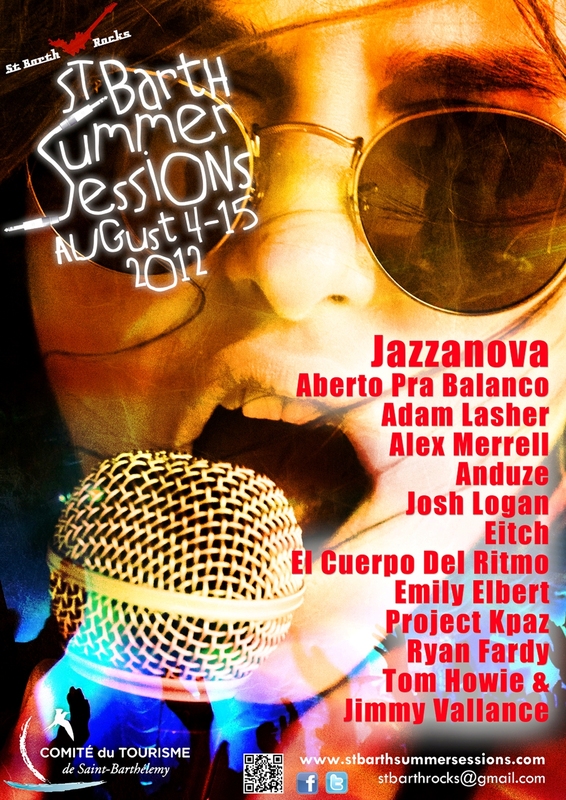 Many say this one is the crème de la crème which is pretty nice because I am the editor in chief. 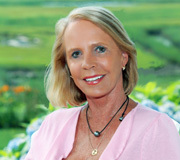 Connie Walsh, the most talented writer I have ever known was there with her husband Mike. Connie and I did the interviews for the articles; she wrote them up and we both edited it back and forth until we were 100% pleased with each and every one. Good job, Connie! If you would like a copy, please click here. I had numerous villa inspections to do because we have so many newly constructed villas being completed as well as others that have been renovated or refurbished. And the hotel Le Toiny? The new owners and managers just completed phase one of its renovation as well as the new beach front sunbathing spot and toes-in-the sand restaurant. I loved what I saw and will be sharing the details with you in our next few newsletters, Le Bulletin. If you have not signed up for it yet, it’s easy to do. 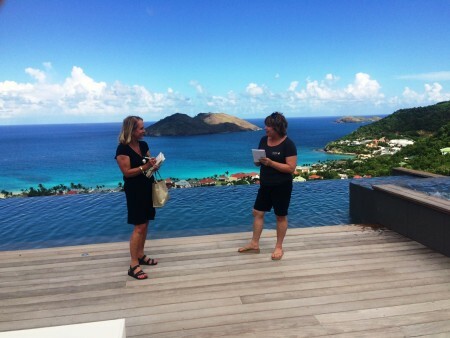 I have some very exciting news for our St. Barth Properties’ clients! We put our heads together with the 5 star Taïwana Hotel to deliver some delicious Flamands Beach time. Enjoy a beachside breakfast or lunch together with the hotel’s luxurious amenities. You’ll have access to one of the island’s most beautiful and popular beaches with lounge chairs, towels and umbrellas, as well as the hotel’s heated pool lined with cherry red super-comfy sunbeds – perfect for a post-lunch siesta. These VIP experiences include a 10% discount at the hotel’s hair salon, Corner of Taiyo by Taïwana (perhaps an end-of-day shampoo and blow-out?) and the Taiyo Boutique. This chic shop has an extensive selection of branded clothing and accessories – a nice souvenir of your time at the Taïwana. Fresh fruit juice, pastries and coffee, tea or hot chocolate. Breakfast is served from 7:00 to 10:30 a.m. Use of the loungers, towels and sunbeds is available till 11:15 a.m.
A two course lunch (starter and main course or main course and dessert) with a range of options from which to choose. A liter of water and a glass of wine per person is included. A Children’s Menu is priced at €25. Lunch is served from 12 noon to 3:30 p.m. Use of the loungers, towels and sunbeds is available from 11:30 a.m. until 5:00 p.m. Would you like a full day at the beach? Reserve both the breakfast and lunch packages! These packages are exclusive to St. Barth Properties’ clients. 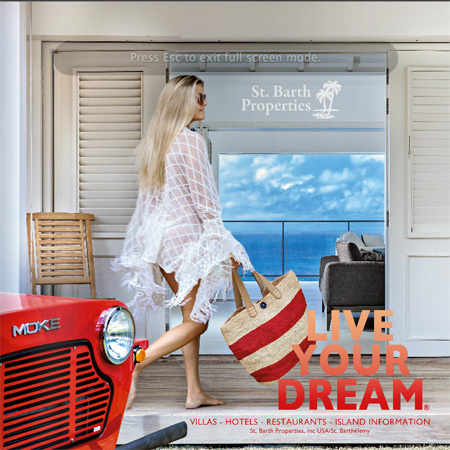 Packages must be booked through the St. Barth Properties’ office concierge. Reservations and loungers and sunbeds are subject to availability. Blackout Dates: December 25 to January 5 and during Taïwana’s annual closing September 1 – October 15. Children are welcome, but loungers and sunbeds are for adult use only.